Pictured left to right is Kimberly Emery, Rachel Buenemann, and Katie O,Rear. 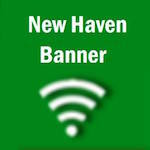 This past week on Wed., July 6, 2011 the New Haven Police Department responded to a report of a burglary at 125 Front Street. Click here to read more. Sgt. Margaret Parks said the suspected subject had broken out a window and entered the residence. Parks said tools were removed from the house and evidence was collected from the scene by the New Haven Police Department. Tonight’s main attraction at the Franklin County Fair was the truck and tractor pull. The Beaufort Leo Club will be holding a community-wide garage sale on Saturday, July 16 from 8 a.m. to 4 p.m. at the Beaufort Lions Club Hall. The community is invited to attend to browse the booths and purchase their wonderful finds. It is a tradition every year for the Fair Queen, court, and contestants to participated in the pig scramble which immediately follows the pageant. The Annual Franklin County Youth Fair in Union, MO began this evening with the 2011 Queen Contest. Katie 0’Rear (pictured left) of Union Missouri and member of the Union FFA Chapter was crowned Miss Franklin County Fair Queen 2011 toinght. The greatest hidden secret, only 30 minutes from New Haven, is the ECO ZipLine Tour. Breathtaking, exhilarating, adrenalin pumping, and heart pounding are a few words to describe the experience I had taking the ZipLine Tour. A late model white Jeep, northbound on Rte. J in Gasconade County, was involved in a one-vehicle roll-over accident in the noon hour. Judging from skid marks on the highway, the vehicle crossed the center line, over-corrected sharply, and went off the right side of the road. The Missouri State Highway Patrol reported this morning that 10 people died in traffic crashes during the 2011 July Fourth holiday counting period. The counting period began at 6 p.m., Friday, July 1, 2011, and ended at 11:59 p.m., Monday, July 4, 2011. Did you miss last night’s fireworks show? No worries, because you can watch it right here on QNHN. What a beautiful night for fireworks on the riverfront. Thousands gathered of all ages to celebrate the 4th of July. One 5-year-old boy told QNHN after the fireworks, “That was so awesome,” while he grinned from ear to ear.